The new season of Game of Thrones aired the other night so we may as well be shameless and hop on the band wagon. I've already read the books so I hope you all enjoy the massive amount of deaths to come this season. Or I could be lying! 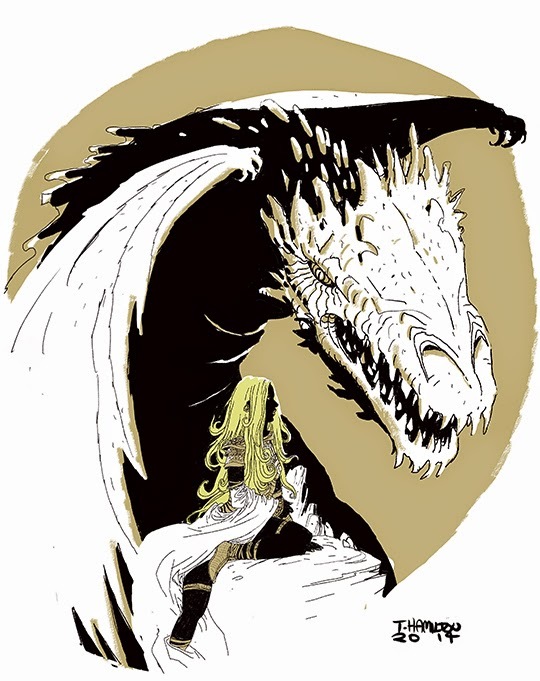 Anyway, here's Daenerys and one of her dragons. Just to spite you, the Internet likes this drawing better. Space 2517: Firefly--So what does that make us? Each subject is copyright their respective owner or corporate overlord. Powered by Blogger.